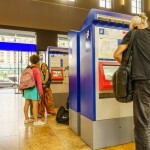 Today, Swiss Rail announced big price increases on some tickets and passes. The new prices will apply from 11 December 20161. According to the Swiss government consumer price index, average prices declined by 2.1% between October 2010 and October 20162. Over the same six years, from December 20103 to December 2016, the price of a second class Swiss Rail GA pass will have gone up by 22.3%, a rise of 25.0% in real inflation-adjusted terms. Over the same period, the first class GA pass will shoot up 17%, or 19.5% in real terms. The latest price hikes of +5.6% to CHF 3,860 for a second class GA and +5.5% to CHF 6,300 for a first class GA pass, are well ahead of recent annual inflation of -0.1. On 12 December 2010 prices were CHF 3,300 and CHF 5,150 for second and first class GA passes. Other ticket prices are going up too, typically by between 2% and 5% depending on the journey. The box below gives some examples. There is some good news. Half-price card prices will remain the same and Junior cards will soon work when your child is accompanied by any adult, not just a parent or grand parent. Price increases for annual second class passes are some of the steepest risers. First class annual passes will rise less than second class ones. Over the last six years the price of oil has fallen 40%4. 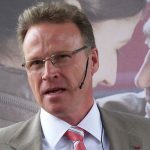 The period has also seen no increase in Swiss fuel tax5. A big decline in the cost of running a car combined with a steep hike in the cost of train travel provides little incentive to take the train instead jumping behind the wheel. According to LITRA, travel by road is growing faster than train travel. Between 2010 and 2014, road passenger-kilometres increased by 7.4%, faster than the growth in passenger-kilometres by rail, which grew at a rate of 6.4%6. 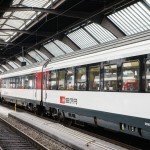 Swiss Rail’s communiqué talks little about price hikes instead focusing on service improvements, such as the 30 minutes that will shaved off trips between Zurich and Ticino with the opening of the new Gotthard Base tunnel. In addition, from February 2017, Swiss Rail staff will start to get new uniforms – shown in the photograph above. Thank you for pointing out this embarrassingly obvious error. We have corrected it now. Our numbers are slightly different to yours due to rounding – our base numbers have an extra decimal.